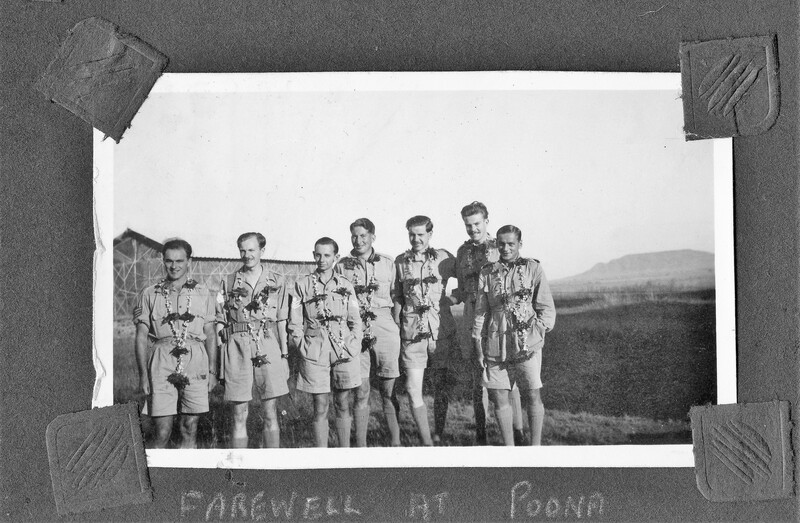 On November 30th, 1944, Stanley Hall wrote in his diary that he is leaving Poona for Risalpur. He will be arriving in Risalpur on December 6th, after quite an eventful journey. Have been in Poona again for a few days waiting for a train to go way up north west. I’m very pleased to be going to a Transport job. Waiting is an awful bore really and I think I’ve done my share of it. I have bought a mattress and a pair of sheets to use in my next place so should be able to make myself quite comfortable. Arrived at Risalpur (Peshawar) yesterday after quite an eventful journey. The first stop was at Kalyan near Bombay where we had to wait for the main train. When it arrived the carriage, a 3rd class one which is pretty awful over here, was full of wogs and stinking dirty; they turfed the wogs out and when we saw the state it was in we refused to travel so the night was spent in temporary accommodation near the station and we caught a train the following afternoon. Kalyan is a dirty looking place, we walked along what I presume was the main road where there were a few shops but I only bought a dozen boxes of matches. 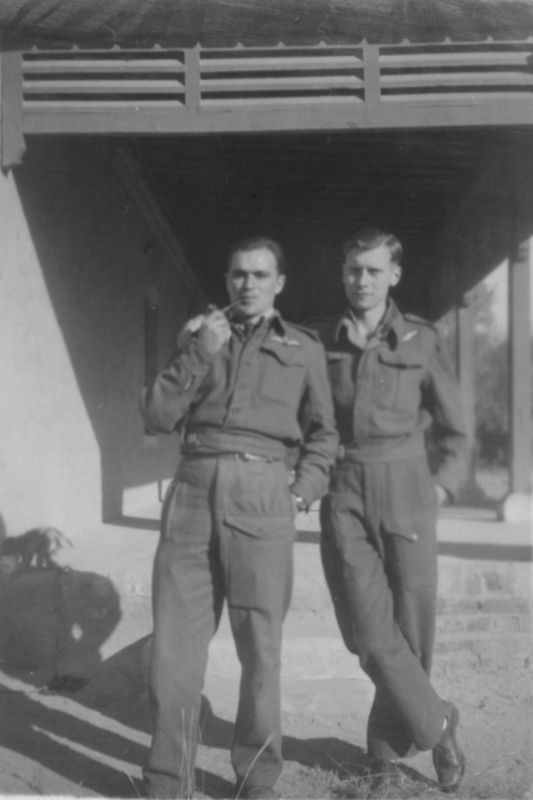 The following evening we reached Delhi and stayed the night at the Wavell canteen – after a rather good meal and a hot shower (the first I have come into contact with over here). I was really ready for bed as it is practically impossible to sleep on these trains unless good accommodation is available. The Wavell canteen is very up to date. We left there about 8 the next morning. The country isn’t very pretty this side of Delhi. At some of the places we stopped the wogs would try to get into our compartment so several times during the night we were awake keeping a watch for them. They are terribly crowded when they travel, about twice the number cram into one carriage and even some hang on the sides. I’ve seen women trying to get aboard with their bundles get absolutely thrown off the steps, some landing on their backs beside the railway tracks. These of course are the lower class of Hindus. The “educated” types travel 2nd class the same as the average European. We had day rations for the journey – such as they were. I think they were an excuse to avoid paying us meal expenses, so we ate in the dining car and at restaurants at our own expense. We reached Rawalpindi at about 7am so it was a bit early to ring up the address I have there, we only stopped about 15 mins. Now I am settled down in rather a nice billet and have a room to myself which adjoins another which is occupied by two N.Z. boys and an Aussie. We are going to hire a radio set and get some wood for the fire grate. We have a batman so haven’t much to worry about. Will probably be doing a bit of flying soon. Have recently bought a few things to add to my collection of souvenirs to take home. I got another steel trunk to put the things in and I bought a silk square hankie Res 2/-, a vase bowl Res 8/-, a pair of vases Res 10/- made from cows horns and today I have ordered a table set made from satin and designed with peacocks etc. worked in wax for Res 45/-. I went to Peshawar to play rugby for the station team. It is quite a large town but after dark a bit dangerous, some officers were murdered recently and I believe quite a few shops have been violently robbed. Received Farmers Parcel from Thelma. Parcel from Janet. Received Xmas parcel from Thelma and photo of Robin. Pyjamas and socks. I had found it hard to put a date and a location on every photo in Robert Davis’ collection of more than 150 photos sent by Wendy in 2015. With all the hints I have now, I am trying to classify all of them by dates and locations for future use. One hint was the pet monkey which appeared on several photos and would have been taken at the same time and at the same location. Also buildings in the background were a big help as well as people we saw on Stanley Halls’s photos. 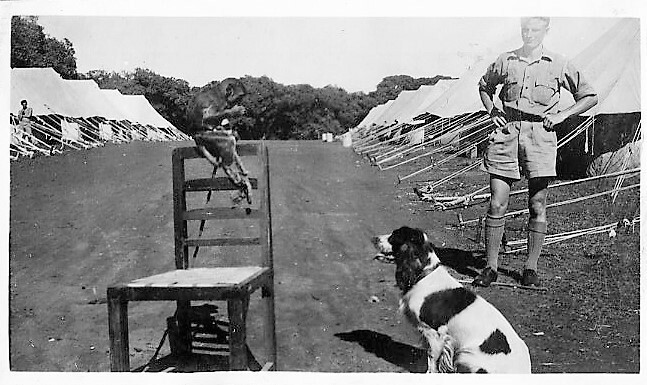 Stanley Hall moved a lot according to his diary and his record of service, but he had never mentioned a pet monkey in his diary. Little by little, when and where Stanley Hall was when he was posing for posterity had become clearer each time I had more photos sent by his son Richard like this one of Trotman. This next photo was easy to put a date on. 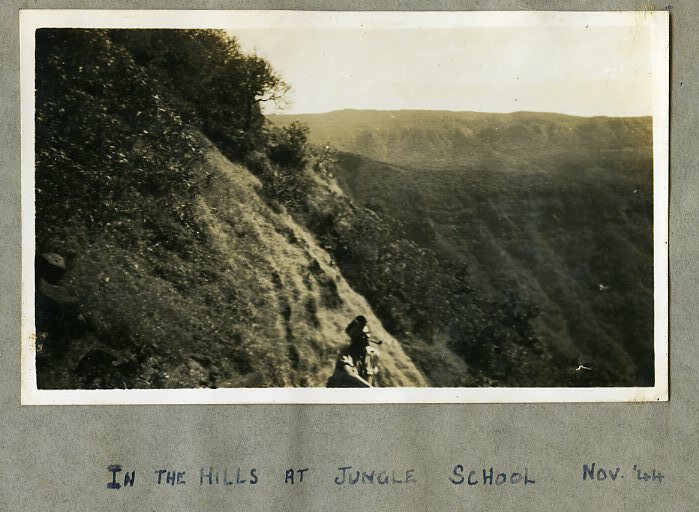 I would guess September 10th, 1944 because Stanley Hall talks about getting all dirty getting to the jungle school. This next photo could have been taken when someone else was flying a Dakota and Stanley Hall was a passenger and not a second pilot. I know for a fact that Robert Davis and Stanley Hall were in the same 1331 CU (conversion unit) which was based at Risalpur, according to their respective log books. They flew on the same Dakotas (667, 425, 364, 667) late in February 1945 doing some local flying. 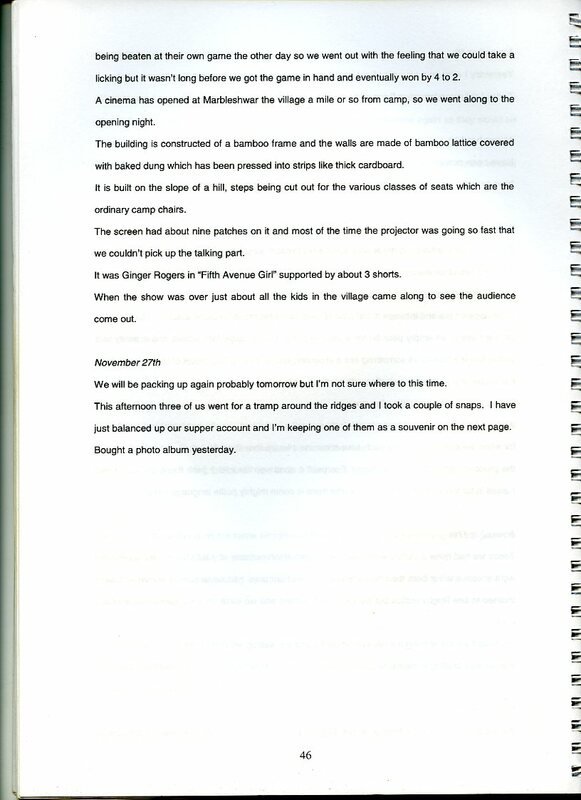 This next page shows the next flight Robert Davis took. It’s on March 23, 1945 on Dakota 576 as a navigator with W/O Zohier (W/O Zeiher) for 30 minutes of circuits and landings. On the same day he does the same, but this time with F/S Hall (Stanley Hall) for 2h30! After he will fly as a navigator with F/O Simpson, F/O Sanders, F/S Clifton, W/O Massey, W/O Zeiher, and F/O Barnby. This the log book page of Stanley Hall for the same period. All through March and April this is what he will do. To help me some more with my research I had found these interesting notes about 238 Squadron on a Website. 238 Squadron RAF flew Hurricanes and then Spitfires in North Africa and Italy in the early part of the war in Europe. The Squadron was disbanded on 26 October 1944. 5 weeks later on 1 December 1944, 238 Squadron RAF was reformed as a transport squadron at Merryfield, Somerset, and was equipped with the Dakota Mk III and Mk IV. As a transport squadron, the intention was for it to move to Australia to support the British Pacific Fleet which moving to the Pacific at the time from the India Ocean. 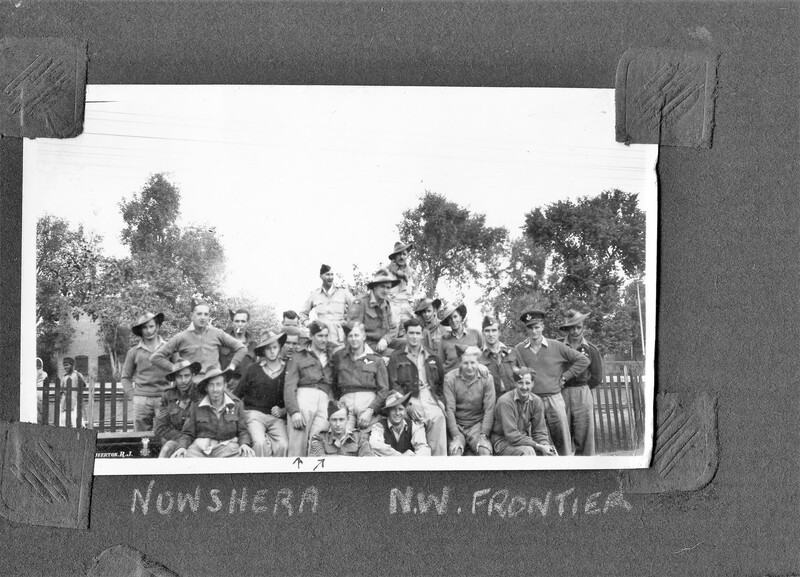 However, while in transit to Australia, it was decided to use 238 Squadron to support the 14th Army operations in India / Burma. 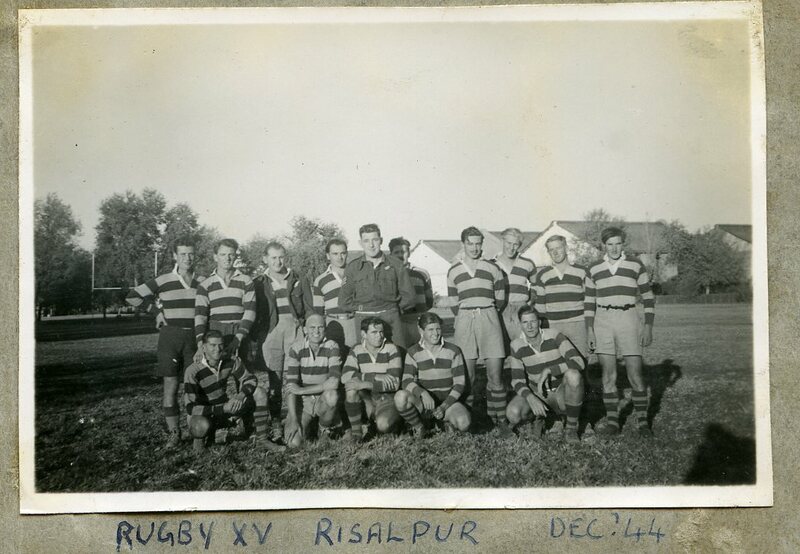 The Squadron moved to Rajpur in India on 22 February 1945. The outward journey from Merryfield was via St Mawgan, Cornwall, to Istres near Marseilles then Castel Benito and El Adem, both in Libya, then on to Tel Aviv, Palestine and Shaibah Iraq. 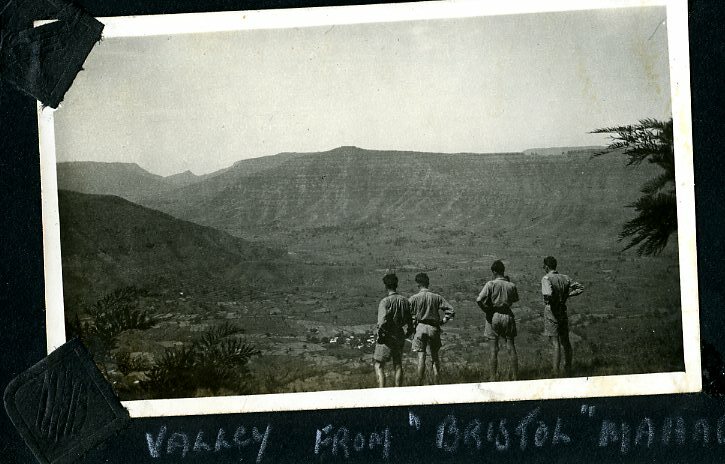 From Iraq the Squadron flew via Sharjah in the Gulf, to Karachi and the Raipur, arriving on 22 March 1945. On 13 March 1945 they relocated to Comilla (now Bangladesh). 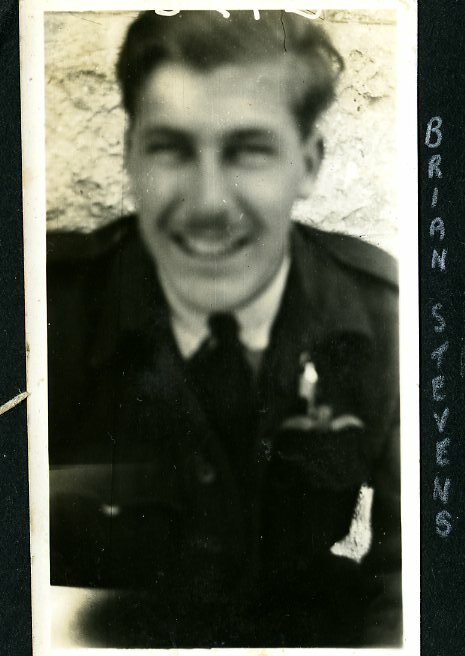 After four months in India, 238 Squadron then relocated to Parafield, near Adelaide in South Australia leaving on 26 June 1945 and arriving on 2 July 1945. The Squadron aircraft flew in formation from Comilla to Australia via Colombo, Ceylon (now Sri Lanka), the Cocos Islands, Learmouth and then Perth, both in Western Australia, and finally Parafield. At the time this was one of the longest relocation flights (in formation) of any RAF Transport Squadron, though not all the Squadron personnel flew with the aircraft to Australia. Some personnel followed by sea. A search is never ended, and hopefully someone else will find this blog and contribute like Wendy and Richard did. There are no entries in Stanley Hall’s diary for November 1st and November 3rd. 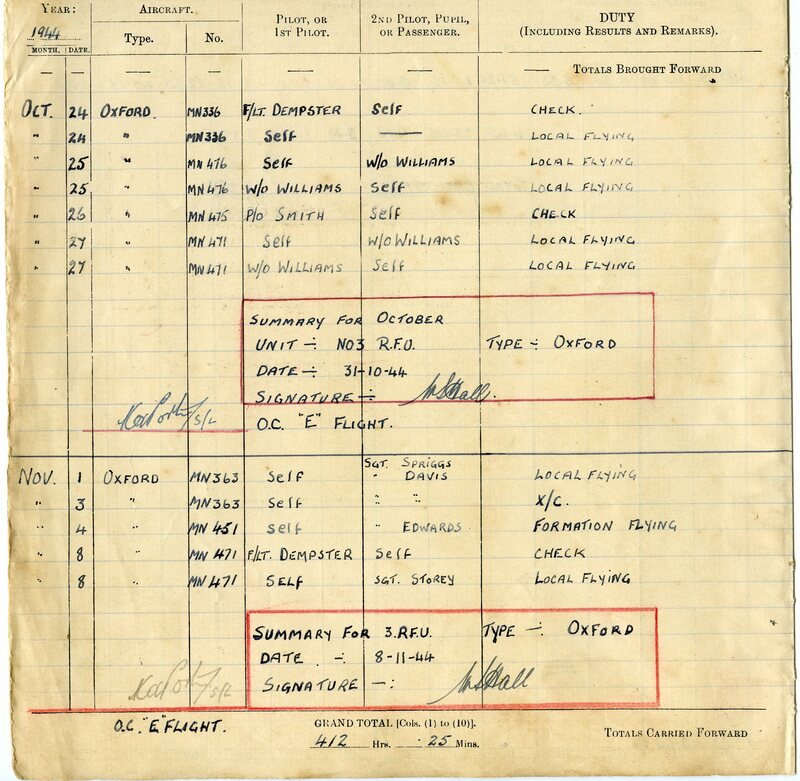 However his log book reveals that on November 1st and November 3rd, 1944, Stanley Hall, flying Oxford MN363, had two passengers with him: Sgt. Spriggs and Sgt. Davis. We all know about navigator Robert Davis, but we are still uncertain about who was Sgt. Spriggs. Yesterday I went on a x/country flight for 3½ hrs and viewed some very nice country. Today I did some formation flying and we went over to the jungle school. 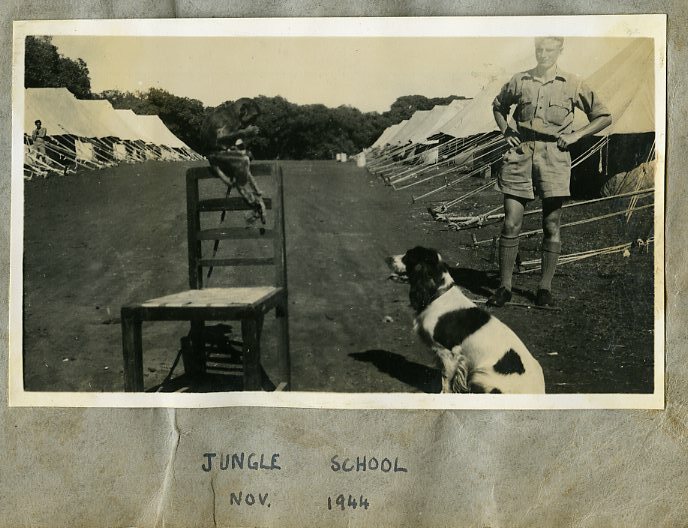 Have been posted up to Jungle school again; it’s great there’s no course to do this time so just have to wait for a posting to a squadron which I hope won’t be too long now. This morning I went around my snares which I set to catch jungle fowl but there was nothing there. After that two of us walked to the nearest town where I bought a saucepan and some tea etc. We are getting our tent really organised now. Make our own tea and manage to get a bit of bread from the mess for some toast. On the table is an empty pear tin for a vase and in it I have some fern leaves and a pretty wild yellow flower which looks something like a snap dragon. For supper last night we had coffee with sardines on toast. Played a game of cricket this after-noon. We also have a method of trying to eliminate swearing in the test – don’t want to get into bad habits for when we come home – so each time someone swears they have to put one anna in a tin and the proceeds go to the supper fund. I’ve paid 4 annas so far and I think there are about two rupees in for this afternoon but all the same there is some mighty polite language used. Today we had quite a victory with sports; our flight which consists of ANZACS played an English flight soccer and we beat them three to one. Most of our boys had never played before and were inclined to use Rugby tactics but we kept them hustled and we were on the offensive most of the time. At present we are winning the revolver shooting and are well up with clay birds. We are also leading in cricket. We received a challenge from a picked English soccer team: evidently they were a bit sore at being beaten at their own game the other day so we went out with the feeling that we could take a licking but it wasn’t long before we got the game in hand and eventually won by 4 to 2. A cinema has opened at Marbleshwar the village a mile or so from camp, so we went along to the opening night. The building is constructed of a bamboo frame and the walls are made of bamboo lattice covered with baked dung which has been pressed into strips like thick cardboard. It is built on the slope of a hill, steps being cut out for the various classes of seats which are the ordinary camp chairs. The screen had about nine patches on it and most of the time the projector was going so fast that we couldn’t pick up the talking part. It was Ginger Rogers in “Fifth Avenue Girl” supported by about 3 shorts. When the show was over just about all the kids in the village came along to see the audience come out. We will be packing up again probably tomorrow but I’m not sure where to this time. This afternoon three of us went for a tramp around the ridges and I took a couple of snaps. I have just balanced up our supper account and I’m keeping one of them as a souvenir on the next page. Bought a photo album yesterday. Have been in Poona again for a few days waiting for a train to go way up north west. I’m very pleased to be going to a Transport job. Waiting is an awful bore really and I think I’ve done my share of it I have bought a mattress and a pair of sheets to use in my next place so should be able to make myself quite comfortable. This picture might have been taken in November 1944 by Robert Davis, but I have no way of knowing. Looking at Robert Davis’ collection of photos I am trying to figure out when and where this photo was taken as well as these two. My best guess is that these three pĥotos were taken at No. 3 R.F.U. Poona (Pune) India.